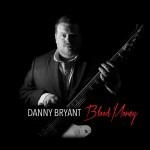 Share the post "Album review: DANNY BRYANT – Blood Money"
Danny Bryant roars into the New Year with an album that is unsurprisingly big on guitar tones, enveloping production values and plenty of spark. ‘Blood Money’ is his most accomplished band album and although it’s slightly more of a blues album than the ‘Temperature Rising’ predecessor, the main focus is on solid songs, booming arrangements and a welcome sense of diversity that helps push Danny to next level. If there’s a slight flaw it’s simply that in pushing his musical boundaries he doesn’t always cut it vocally – he almost over sings on ‘Holding All The Cards’ for example - but his strong sense of purpose lends itself to reaching for the next level. And it’s that sense of ambition that makes ‘Blood Money’ more than just another album. The 10 tracks are the perfect marriage of an unrelenting road tested power trio with Richard Hammerton, a strongly focused producer who refuses to let the material be shoehorned into one particular direction. As a result the album thrives on diversity as Hammerton constantly nudges Danny to try new things. There’s plenty of big licks and substantial melodies on a vibrant mix of rock, boogie, blues, funk and a couple of ballads, of which ‘Slow Suicide’ is a heartfelt ode to a departed friend, backed by a majestic guitar figure. The opening title track duet with his mentor Walter Trout is everything you would for, given that the basic track was recorded in the UK and Walter’s contribution was dropped in via the wonders of modern technology. It’s testament to producer Hammerton’s gossamer touch that he manages to fuse together the swapped verses and powerhouse licks to create an essential dynamic. The song is predicated on a catchy melody and is shaped by a fazed drum intro and a descending piano line with synth sweeps that resonate with repeated plays. ‘Master Plan’ rocks hard like Leslie West, but with a notably shriller tone and a slightly mixed back vocal, while ‘Unchained’ makes the best of a churning guitar riff and beefy horn arrangement. Danny’s been working with producer Richard Hammerton for several years now and that relationship lies at the core of an imposing sound, as evidenced by the album’s lead single ‘Sugar Sweet’, a layered wall of sound with chunky riffs and an impassioned vocal. At the top of this review I mentioned this was Danny’s best band album and that’s simply because bassist Alex Philips and drummer Dave Raeburn – the latter having rejoined Danny after a lengthy hiatus – bring real heft and versatility to the material. This is best exemplified by the Albert Collins homage ‘On The Rocks’, on which Danny’s touch, tone, control and rich vibrato brings real authority to bear on the Ice Man’s unique style. He further extends the Collins’ funky feel on the intro of ‘Fools Game’, which settles into a riff driven funky undertow and finishes with a cascade of notes. And then just when you think Danny has delivered all he’s got, he slips into the majestic rock/blues ballad ‘Just Won’t Burn’. It’s a perfect vehicle for Brit blues-rock elder Bernie Marsden, who brings real presence and tonal depth with his celebrated 1959 Gibson Les Paul Standard, ‘The Beast’. This entry was posted in ALBUM REVIEWS, ALBUM REVIEWS (Mobile), All Posts and tagged Albert Collins, album, Alex Phillips, Bernie Marsden, Blood Money, blues, boogie, Danny Bryant, Dave Raeburn, funk, interview, Leslie West, review, Richard Hammerton, rock, Walter Trout. Bookmark the permalink. Album review: NEAL MORSE – Morsefest!